You'll be £13.50 closer to your next £10.00 credit when you purchase Escape from the Third Reich. What's this? 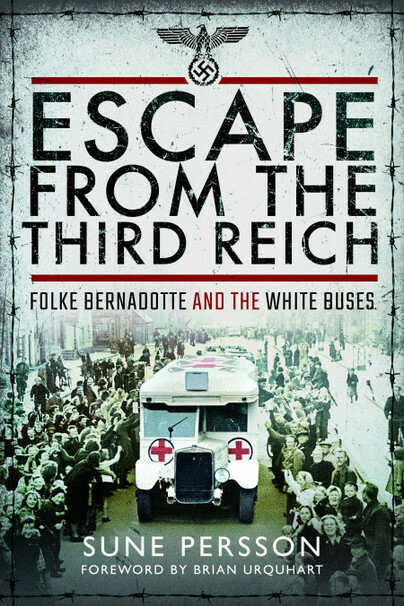 The story of the White Buses is one of the most extraordinary humanitarian efforts of the Second World War. Yet it is a story that remains little known. At a time when the Nazis were hanging on desperately for survival, and while chaos reigned in Germany, Count Folke Bernadotte, along with the Swedish Red Cross and the Danish government, conducted negotiations with Heinrich Himmler. Between them they successfully engineered the release and transport of prisoners from concentration camps to a neutral country – Sweden. The mission became known for its fleet of distinctive buses. Painted entirely white, these vehicles carried the Red Cross emblem and Swedish or Danish flags so that they would not be mistaken for military targets. The various expeditions to the German concentration camps were long and highly dangerous, with every move watched by the SS and the Gestapo. The conditions the rescuers encountered at the camps were beyond comprehension. Due to the chaotic conditions during the last weeks of the war in Europe, it is impossible to say exactly how many prisoners were liberated in the course of the operation, but according to conservative figures the so-called White Buses helped transport at least 17,000 prisoners to Sweden by 4 May 1945. Undoubtedly, the White Buses saved thousands from a miserable existence or, worse still, death in the camps. This is the story of their journey. SUNE PERSSON was a Senior Lecturer and Associate Professor at the Department of Political Science at the University of Gteborg, Sweden. The first edition of this work was published in Sweden in 2002 as Vi ker till Sverige: De vita bussarna 1945 (We Are Going to Sweden: The White Buses in 1945).